► But what's it testing? 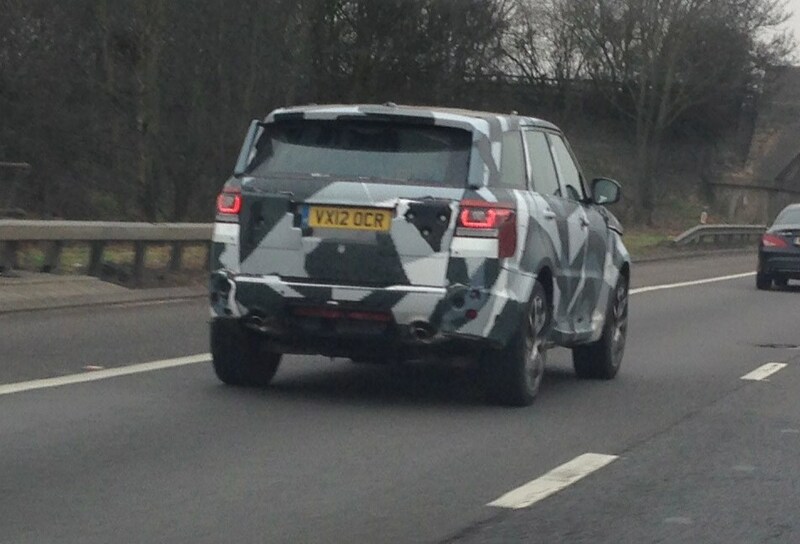 Eager-eyed CAR reader Keith Jones spotted this Range Rover Sport on test on the M1 this week. Why the North Sea battleship disguise on a car that's been on sale for a couple of years? That's the conundrum when you spot a three-year-old prototype driving on the public road. So what's new about this Range Sport? We're not quite sure what it's testing and the jungle drums are remarkably quiet in terms of forthcoming range updates for the sportier Range Rover. But we can see why it caught Keith's eye in its fetching monochrome plumage. This specimen is registered with a 3.0-litre diesel engine, presumably the stock 3.0-litre V6 TD. 'The front was more heavily camouflaged with padding, but it looked like it was disguising the original design rather than a facelift,' Keith tells us. On this evidence, we'd say such an old prototype is likely to be testing powertrain changes, rather than styling. Click here for more reader spyshots. And remember you can send us your own cameraphone pics if you spot a future car prototype on the public road.